Speaking to newsmen in Lagos on Tuesday, Agbakoba , a Senior Advocate of Nigeria, said the President should initiate the restructuring project by presenting the 2014 National Conference Report to the National Assembly, because that report according to him, “actually examined and resolved a lot of the restructuring issues. Stating his position, Agbakoba faulted the President’s delegation of the responsibility to restructure Nigeria, a duty he referred to as an exclusive of the President as provided for by the constitution. Agbakoba said it was also important that the terms for the restructuring be broad- based, and beyond a narrow point of political powers, which he noted had overwhelmed national development. He berated the leaders of the South for not engaging their counterparts in the North in discussions to address their common gains and differences and how to position a workable structure. “Restructuring must have a national outlook. Every constituent part of Nigeria must be carried along. In the South, there is consensus on restructuring. In the North, there is reluctance. The South needs to reach out to the North and allay their fears. 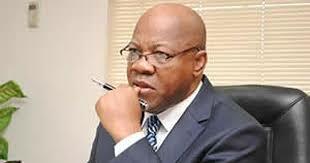 The process of restructuring should involve give and take; otherwise, it will fail,” Agbakoba said. Agbakoba prescribed cutting down the size of government as first among important issues to be addressed even if the restructuring would work, as a larger percentage of the nation’s resources were simply servicing a small group of people. He noted that failure to take that action immediately would mean transferring the same problem to a new Nigeria if and when the restructure happened. His words: “Political restructuring is not enough; otherwise, the inefficiencies at the centre will simply be transferred to the new regions. Restructuring must address other connecting issues like the bloated size of the public service. He urged government to focus on its core mandate of policy formulation, execution and regulation, and stay away from business matters. Speaking on the agitations of the Indigenous Peoples of Biafra(IPOB), Agbakoba said that every ethnic national could agitate for self-governance, because it is recognised and an acceptable principle in international law, and in the United Nation’s Charter. He, however, faulted the process by which the IPOB leader, Nnamdi Kanu, had decided to make his agitation known. But, added that recent appointments done by the Federal Government, of persons to the Nigerian National Petroleum Corporation, was a clear marginalization against citizens of the South East.